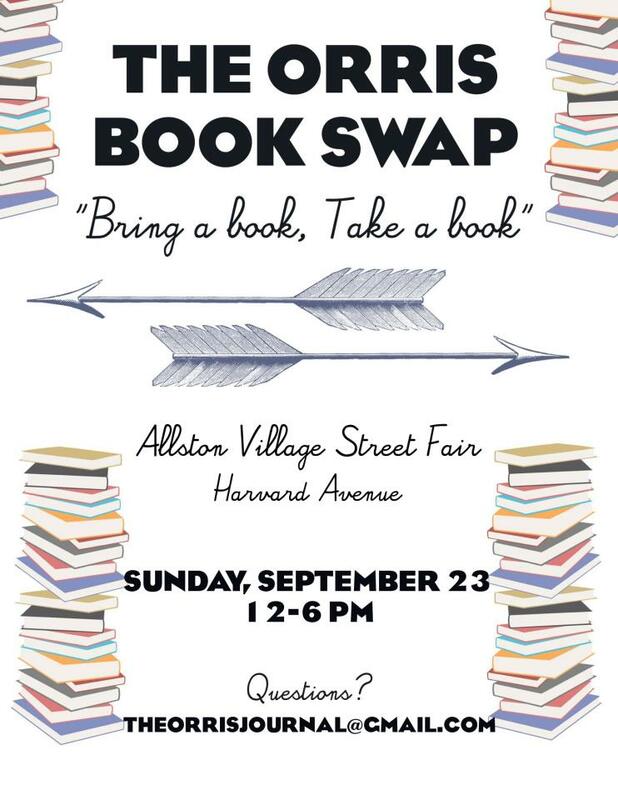 The Orris is hosting a book swap at The Allston Village Street Fair this Sunday, September 23 from 12-6. The Allston Village Street Fair is an all-ages, free event featuring live music, multicultural street performances, an artist market, vendors, an international food court, and community organizations. 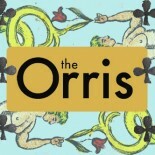 Bring a book to the fair to swap it for a new one at The Orris booth! Remaining books will be donated to Goodwill. Exit Trolley at Harvard Avenue Stop – Walk 1 Block to Main Stage at Brighton and Harvard Avenues. Questions? Or want to arrange a book donation? 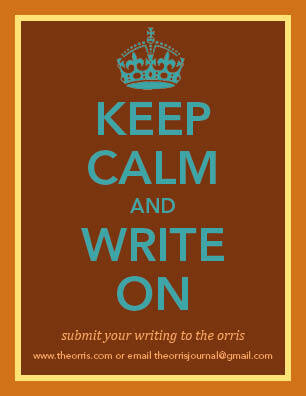 Contact theorrisjournal@gmail.com. This entry was posted on September 21, 2012 by The Orris in Issue Three, Spotlight and tagged Allston, Allston Village Street Fair, AVSF, Book Swap, Books, Boston, Boston Events, Free Books, Harvard Avenue, Orris, Orris Book Swap, Orris.com, The Orris, The Orris Book Swap.